ROBsessed™ - Addicted to Robert Pattinson: AWARD SEASON: Robert Pattinson to appear on The Hollywood Reporter panel at AFI Fest Nov. 12! AWARD SEASON: Robert Pattinson to appear on The Hollywood Reporter panel at AFI Fest Nov. 12! Ooooooooo this is exciting! AwardSeasonRob will be something to behold! On November 12, Rob will join several other filmmakers creating a lot of award buzz for their independent films on a panel hosted by The Hollywood Reporter. Eight filmmakers currently generating awards buzz for their work on independent films unveiled in 2017 will appear at the 31st AFI Fest on the fourth annual Indie Contenders Panel, hosted by The Hollywood Reporter. 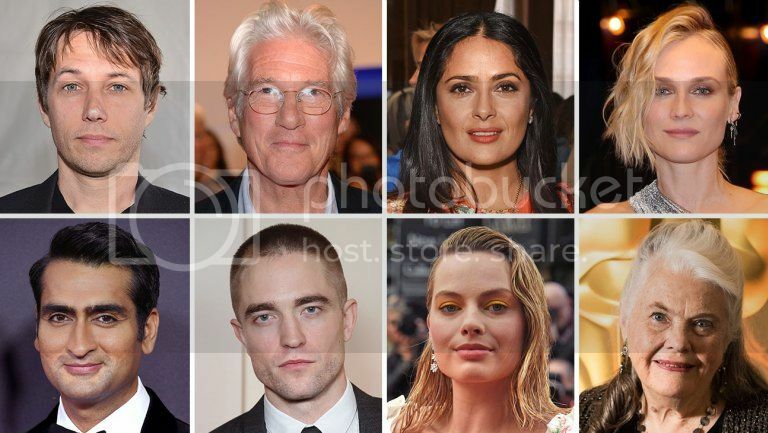 This year's participants will be Sean Baker (co-writer and director, The Florida Project); Richard Gere (lead actor, Norman: The Moderate Rise and Tragic Fall of a New York Fixer); Salma Hayek (lead actress, Beatriz at Dinner); Diane Kruger (lead actress, In the Fade); Kumail Nanjiani (co-writer and lead actor, The Big Sick); Robert Pattinson (lead actor, Good Time); Margot Robbie (lead actress, I, Tonya); and Lois Smith (supporting actress, Marjorie Prime). The panel will take place over 90 minutes on Nov. 12, at the Hollywood Roosevelt Hotel, in front of 200 AFI Fest badgeholders and ticketholders. It will feature clips and conversation about the challenges and rewards of making independent films. Video will exclusively appear on this blog shortly thereafter. All this buzz has me buzzing with excitement! Gotham nomination. THR award season panel. What's next?? Cheers to AwardSeasonRob!